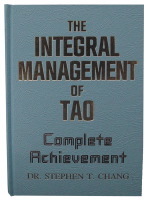 This is a book that allows you to think and achieve. Ancient wisdom is combined with modern knowledge and high output techniques to show you how to obtain position and promotion, win any negotiation, build up positive attitudes, creativity, achievement skills and gain true power, happiness, riches, status, and fame, promoting genuine success. Ancient secret texts are revealed for the first time. A priceless book with lifetime value.